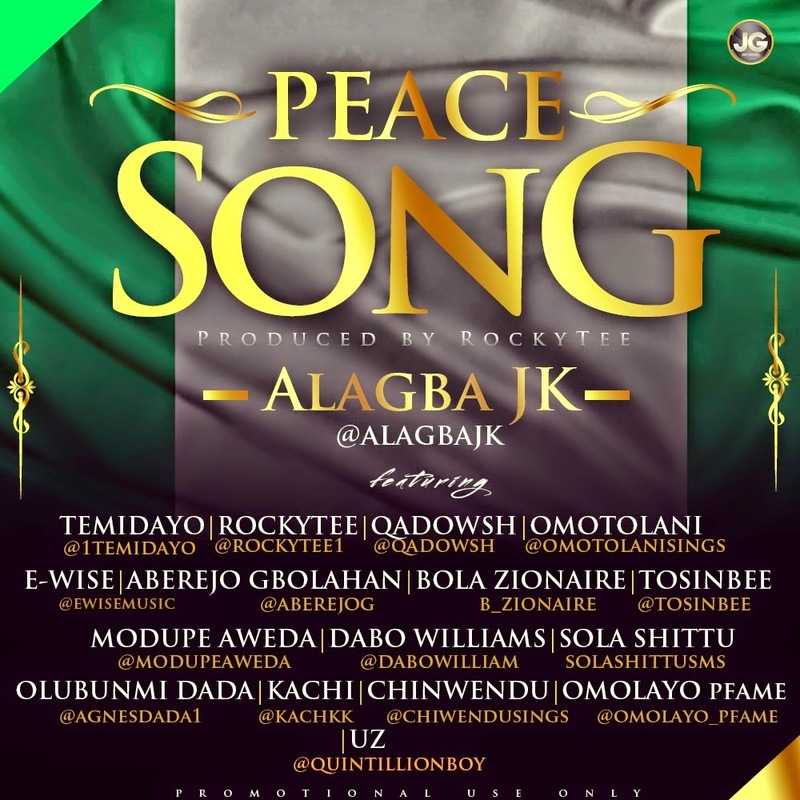 Finally, the official release of Peace Song by Alagba Jk and Friends Video. Alagba Jk says: “Prior to the forthcoming general election in Nigeria, some group of Gospel singers led by Alagba Jk have given their voice to calling out for Peace in Nigeria as a whole. You will agree with me that it is no news that Nigeria has been going through some trials and the only solution to it is if we all come together and agree as one. Be you from any tribe, the only solution Nigeria needs is for us all to come together as one. ‘We are all calling out for peace, let’s unite as one for Peace in our Fatherland Nigeria’. We ask that we all vote not fight! Let’s make 2015 General Election different with Peace and Love. #We Miss The Nigeria Our Fore Fathers Suffered for. #Lets Join hands and Bring Back the Glorious Days of Our Fathers Land. #Do not Let The works of our fathers be in Vain. #We Only have one Nigeria and there is no other place like home. #We are calling on everyone, let’s join hands together..